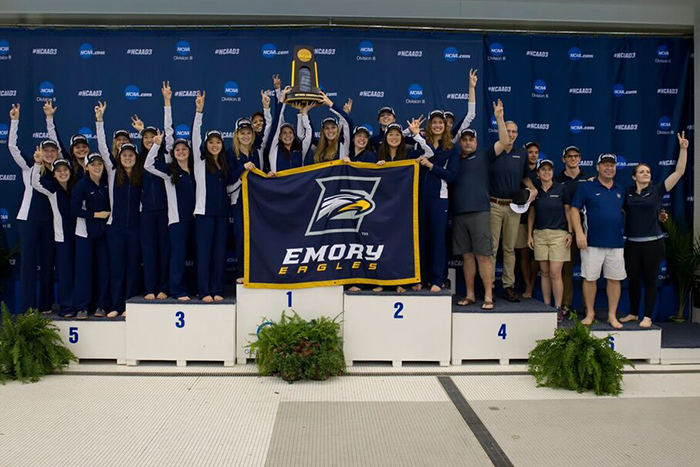 Emory University Women's Swimming & Diving won its seventh consecutive and ninth overall NCAA Division III Championship on March 19. 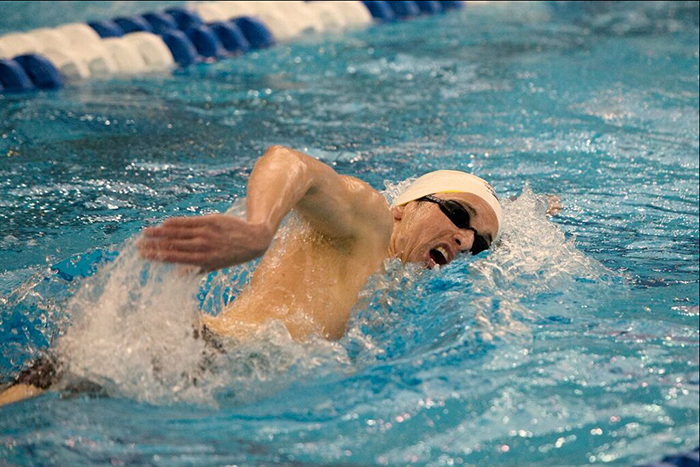 The Emory men's swimming and diving team finished third in the 2016 NCAA Division III Championships, marking the team's 17th-consecutive top-five finish. 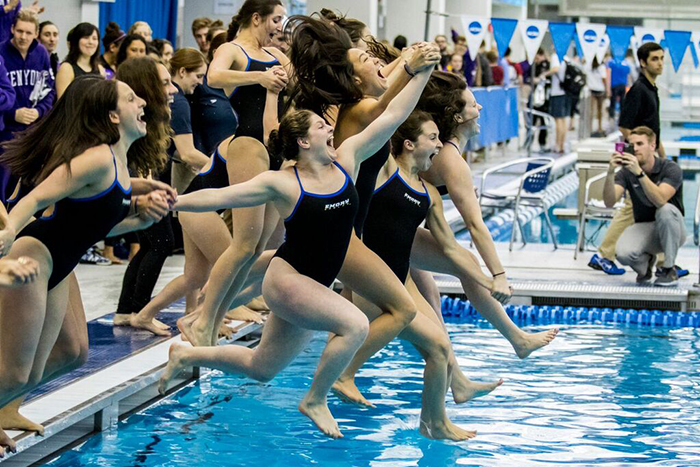 For the seventh year in a row and the ninth time in program history, the Emory Women's Swimming & Diving team took first place at the 2016 NCAA Division III Swimming & Diving National Championships in Greensboro, North Carolina this weekend. The Eagles won the title with 560 team points, 84 points ahead of second place Kenyon College who finished with 476. 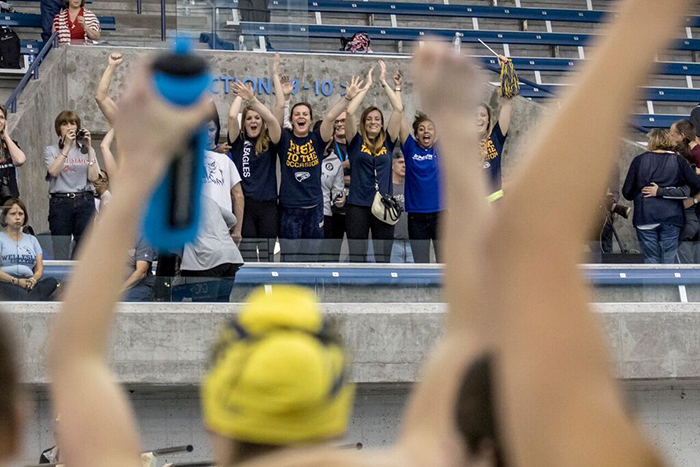 The team tied a school record with six event national championships in a single NCAA Championship including a perfect 5-for-5 in the relay events, something that has never been accomplished before in school history. 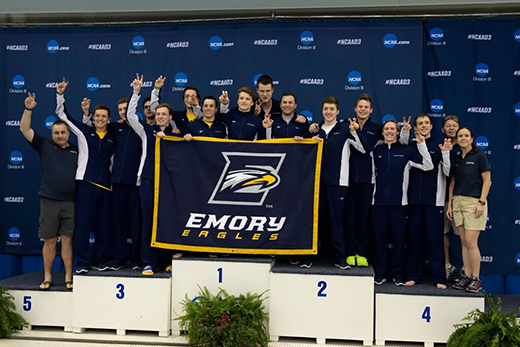 Emory also set two school record times and one Division III national record, had 24 All-America winners: 19 individuals and five relays and another 14 All-America Honorable Mention certificates. Head Coach Jon Howell was named the Collegiate Swimmers Coaches Association of America (CSCAA) Women's Swimming Coach of the Year after the meet for the fifth time in his career. 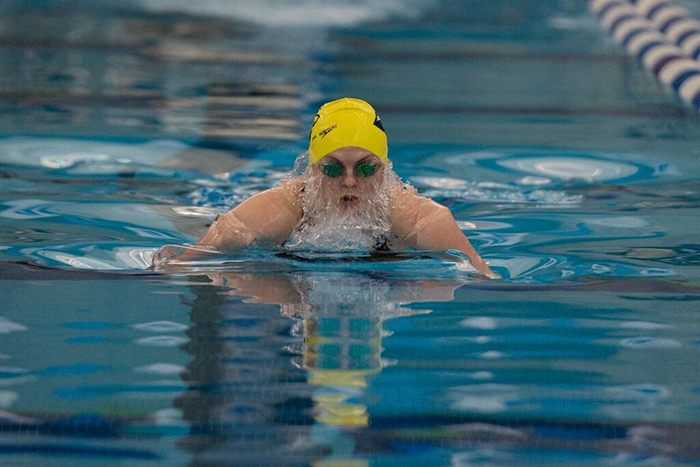 Adding All-America honors for the Eagles on Saturday were sophomore Rebecca Upton in the 1,650 Freestyle (16:39.90), Muir (2nd, 49.83 in the preliminaries) and Bergh (8th, 50.94 in the preliminaries) in the 100 Freestyle and senior Elizabeth Aronoff (4th, 2:15.75) and junior Annelise Kowalsky (5th, 2:16.57) in the 200 Breaststroke. The Eagles tallied six All-America Honorable Mention winners as well on Saturday night. 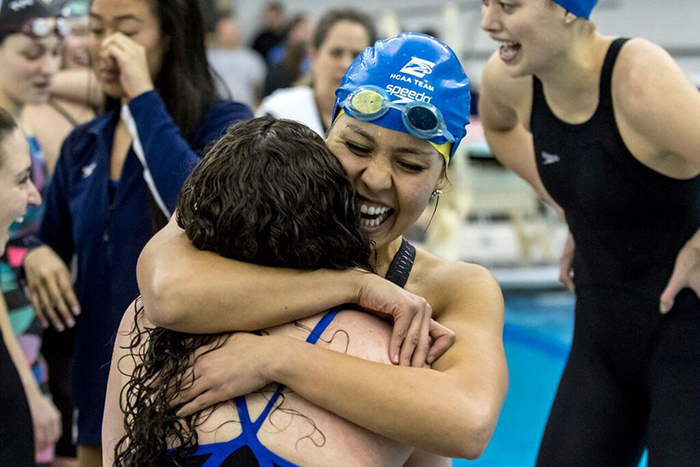 Sophomores Ming Ong (9th, 16:57.94) and Shelby Frugé (14th, 17:06.10) in the 1,650 Freestyle, Sanchez-Aizcorbe in the 100 Free (10th, 51.15), senior Ellie Thompson in the 200 Backstroke (10th, 1:59.74) and freshman Ashley Daniels (9th, 2:16.53) and sophomore Megan Campbell (13th, 2:19.76 in preliminaries). 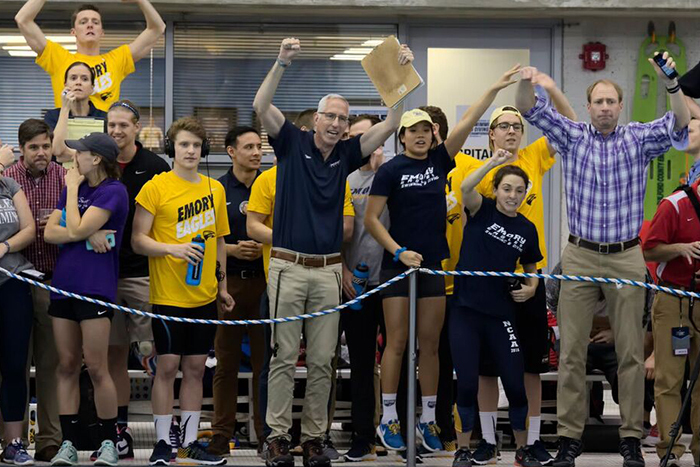 The Emory men's swimming and diving team finished third in the 2016 NCAA Division III Championships, marking the team's 17th-consecutive top-five finish. 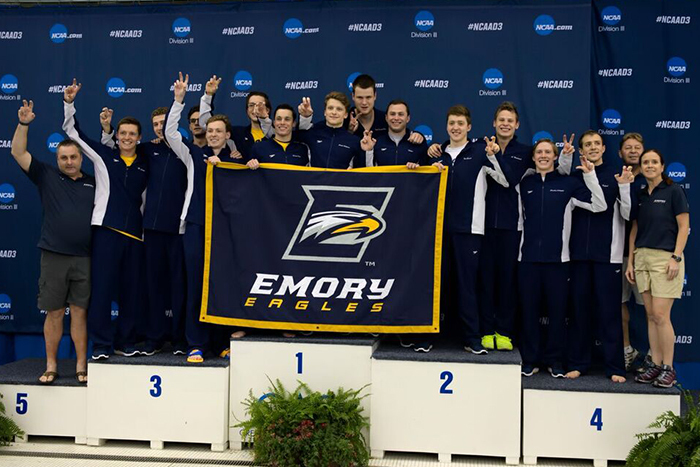 The Emory University men's Swimming & Diving team finished the 2016 NCAA Division III Championships in style on Saturday night as the 400 Freestyle Relay won the third National Championship for the Eagles at the 2016 championships. 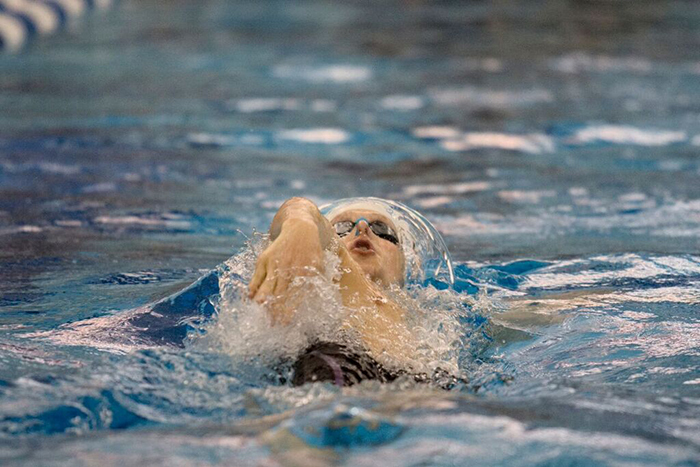 The Eagles scored 340.5 points finishing behind first place Denison University (455.50) and Kenyon College (418.50) during the four day championship meet. It is the 10th time in program history the team has finished third at the NCAA Championships. The 400 Freestyle Relay team of freshman Trey Kolleck, sophomore Alexander Hardwick, junior Hayes Burdette-Sapp and sophomore Oliver Smith set a school record in the event with a time of 2:57.44 and capped off an impressive 2016 NCAA Championships for the Eagles. 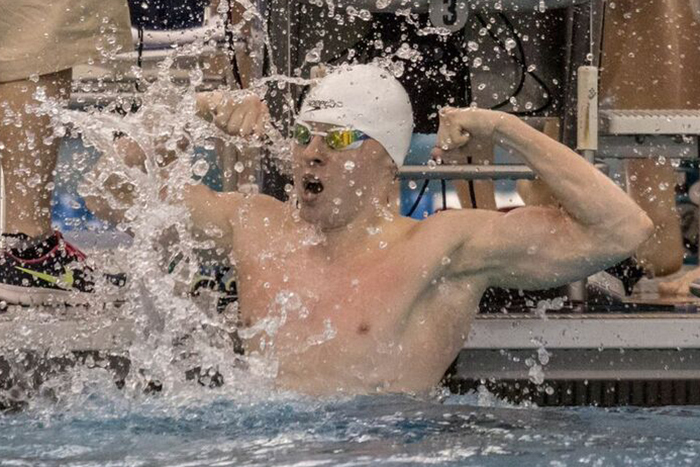 The Emory men won three national championships at the meet with Smith taking home gold in the 50 Freestyle on Wednesday and the 200 Freestyle team of Kolleck, Hardwick, sophomore Aaron Schwartz and Smith on Thursday. 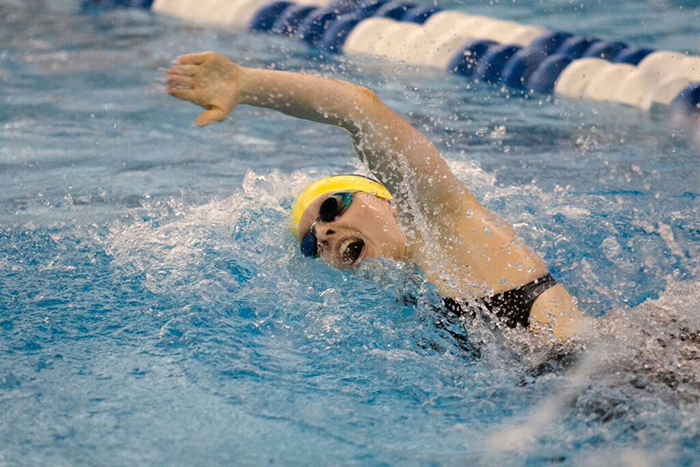 In addition to the three national titles, the Eagles set five school records at the meet: Smith in both the 50 Free (19.55) and 100 Free (44.43 in preliminaries), the 200 Freestyle Relay (1:19.83), the 800 Freestyle Relay (6:35.36) and the 400 Freestyle Relay on Saturday; saw 15 All-America winners: 10 individual and five relays and five All-America Honorable Mention certificates. 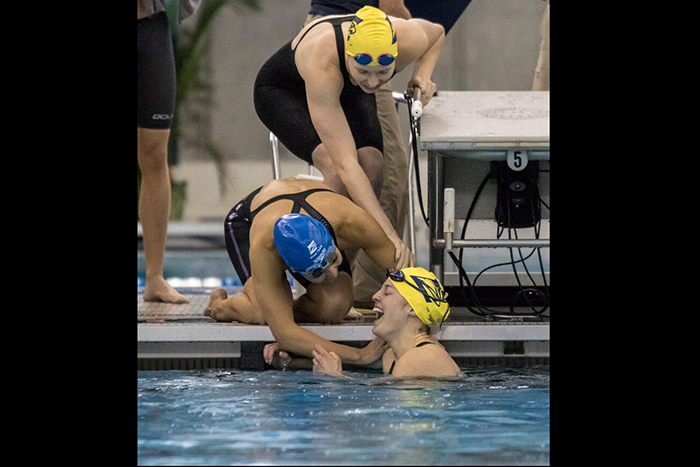 On Saturday, the Eagles concluded the 2016 Championships with three individual All-Americans along with the 400 Freestyle Relay. Freshman Thomas Gordon and junior Christian Baker in the 1,650 Freestyle finishing fourth (15:27.81) and fifth (15:29.55) respectively and Smith in the 100 Freestyle event with a fifth place finish (44.78). 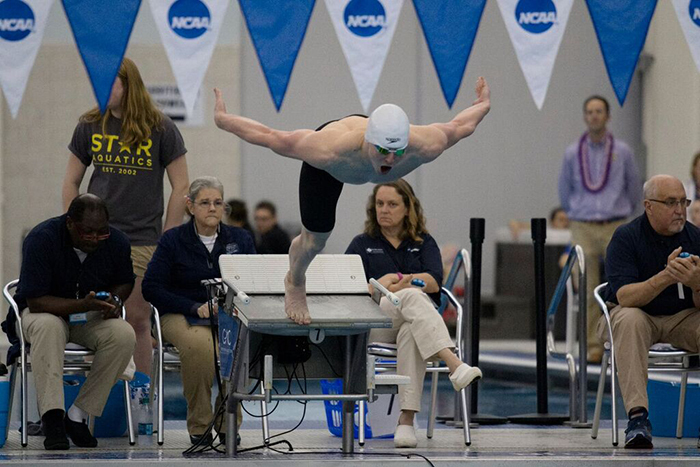 Senior Jared Scheuer and Hardwick earned the fourth and fifth All-America Honorable Mention honor for the Eagles as Scheuer placed 11th in the 200 Backstroke with a time of 1:48.24 and Hardwick was 14th in the 100 Freestyle at 45.05.